Joo Young Lee serves as Managing Director at McAllister & Quinn. She brings a professional background of government and non-profit experience and currently works with clients to strategically identify and plan for federal and foundation grant opportunities that align with their priorities and goals. She works with a diverse group of clients representing all practice areas at McAllister & Quinn, most notably with institutions of higher education and non-profit health systems. Project topic areas range from scientific research on cancer treatments to economic development efforts in distressed cities. Joo Young was most recently Director for the Gates Millennium Scholars Program, funded by a grant from the Bill and Melinda Gates Foundation, at the Asian and Pacific Islander American Scholarship Fund (APIASF) in Washington, DC. In her capacity as Director, she oversaw the operation of the scholarship program. She led the recruitment, selection, and engagement efforts with the Gates/Asian American and Pacific Islander scholars. During her tenure, the program disbursed over $30 million in scholarship funds to Gates scholars. Prior to joining APIASF, Joo Young worked for more than ten years for the California State Legislature. She first served as a California Senate Fellow for State Senator Tom Hayden and collaborated with members of the Legislature and other stakeholders to successfully shepherd legislation to the Governor’s desk. She transitioned to Washington, DC, to work for four California State Assembly Speakers during her time with the Office of Federal Relations. 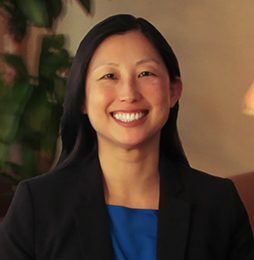 Joo Young advocated on behalf of California’s legislative priorities and supported the state’s efforts to maximize federal spending in California. Her work focused on a broad range of issues impacting the state including energy, education, transportation, and healthcare. Joo Young is a native of Los Angeles, California and earned her bachelor’s degree in political science from the University of California at San Diego.